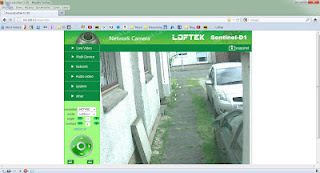 This is a product review for the Loftek Sentinel D1 CCTV security camera that I installed at home recently, available in the UK for £115 from Amazon. NB: Please read the post below in conjunction with my subsequent update to this review. 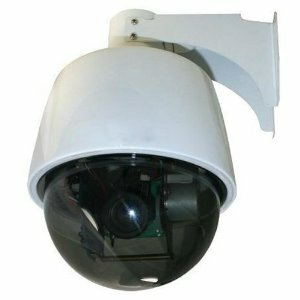 I chose this particular camera because I wanted a more subtle method of security for my property than a more in-your-face CCTV system could have provided. The dome design on this model means that it can easily pass for a light fitting, and is therefore not too obtrusive, thereby allowing me to beef up security in a subtle but effective way, without making my home feel like Fort Knox. 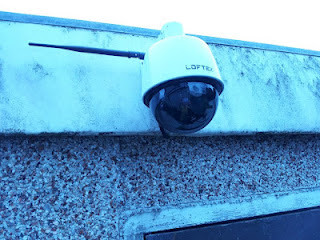 Other more overt camera systems may provide a greater degree of visible deterrence to vandals and thieves, if that's what you're looking for, but for a home setting in a quiet residential area that you want to remain welcoming, this felt like the right choice. On the technical front, being a geek by profession, I found no difficulty in getting this item set up within minutes of opening the box. It was merely a matter of attaching the camera to my wired network (via a LAN port on my wireless router) in the first instance, then you have the option of either installing the enclosed IP Camera software to obtain the device's IP address, or simply use your router management software to identify the IP address that your home network has assigned to the camera. After that, just use any popular browser (Firefox worked for me, and I tested IE9 too) to navigate to the camera's setup page, by typing the camera's IP address into the browser. The home page guides you to install some third party software from VLC to view and control the actual camera feed, and you're off. Finally, use the camera's web-based configuration utility to provide the device with your wireless network settings. After that you can dispense with the wired connection, which you wont need again. 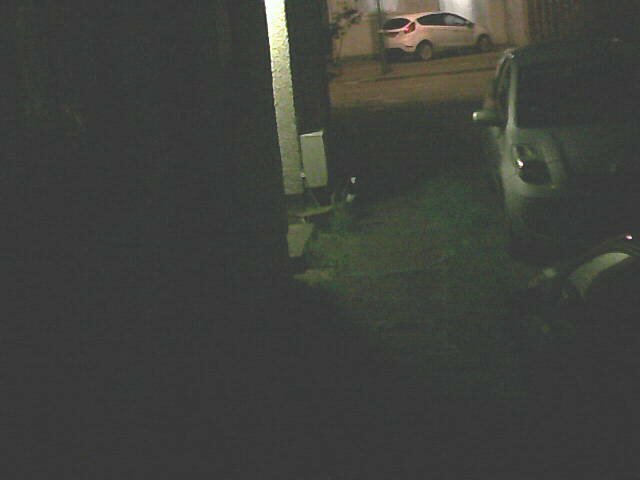 I found that the camera retained wireless configuration settings, even when switched off during the actual installation process. So, once set up, the device seems to be pretty stable to issues like power cuts that might otherwise have been a problem for a less well thought out design. 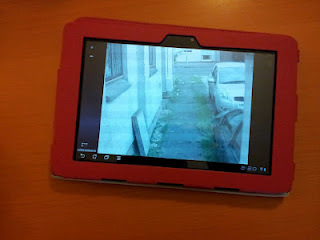 I also tested accessing the camera using my Android tablet, and found that to be very easy too. 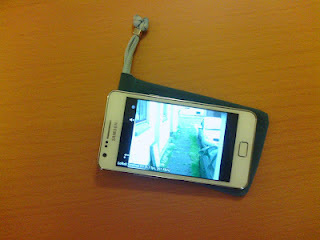 There's a free app called tinyCam monitor that does the job. There are also other applications for a modest fee (typically less than £5) that purport to enable you to store images online or on your device's SD card, based on real time rolling imagery or on motion-sensitive images. I haven't tested any of these capabilities, and therefore can't comment on whether this model or the Android apps mentioned work for these purposes. With regard to the hardware itself, the only slightly-misleading thing for me was the fact that the unit requires a wireless antenna, which screws into the side of the camera itself rather than being located in a more subtle location such as at the cabling terminus. This isn't shown in the product photographs provided. If you look at the manufacturer's images, there's a little gold protrusion shown, that looks like the end of a screw that goes right through the bracket holding the unit. That's not actually a screw, though: it's the connector for the antenna, which isn't shown, and which is about 7 inches in length when fitted. This reduces the visual appeal of the device, by making it more obvious that it's a camera. There is still the option of connecting a wireless access point to the cabling terminus of the device (which is hidden away near the power supply), but still, it'd have been nice to see the product as it really appears, rather than having visual details like this being left off of the product photos. Having read some of the other reviews available online for this item, I had been a little worried that I might experience some issues with autofocus whilst panning to areas at different focal lengths (some of the American reviewers referenced above had indicated that they'd had difficulty in this regard, and had been instructed by the retailer to adjust the focus manually by removing the camera's cover and using a screwdriver). 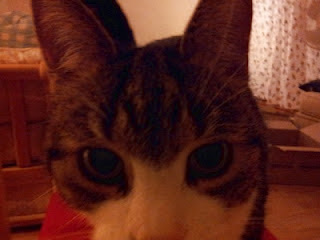 However, I needn't have worried, as I simply didn't experience this issue. If this were ever a problem, the current model doesn't appear to suffer from it. The low light facility on this camera is pretty damn impressive. 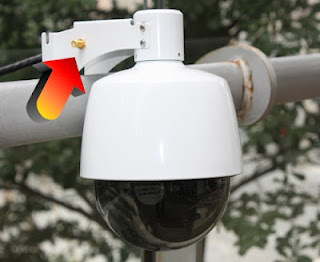 It's not an infrared camera, and that's not what I'd decided upon for this particular installation, preferring instead to rely on visible lighting around my property. The first day after I installed the camera, though, I was in the position of still having to replace some external lighting that had failed over time (job now done, though it took an angle grinder and a lot of sparks to remove one of the old light fittings - apologies to any of my neighbours disturbed by the brief but wrenching noise of that process!). Because I had a day of darkness before I replaced that broken external lighting, I inadvertently had the opportunity to see how the camera performed in near-complete darkness. 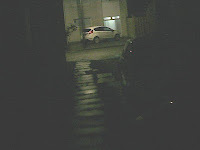 Under those conditions, I could still make out a reasonable amount of detail and colour, just from the ambient light provided by a streetlight across the road (see the sample photos below for a comparison of daylight, full dark, and moderately lit nighttime camera images). 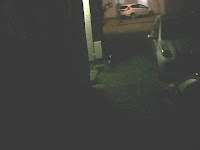 I felt that the 'moderately lit by a 60W door light' images were quite good enough for my purposes, negating the need for a camera with full night vision capabilities that I had been considering as an alternative. Lastly, I'd say this model is a good option for securing your own property, whilst respecting the privacy of your neighbours. I can see everything I need to see on my own property. 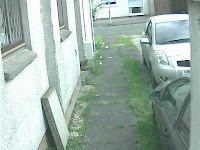 However, the fact that the camera is limited to a moderate 3x zoom means that whilst it's more than enough to identify callers at the front door, the view it necessarily gives of any public areas and neighbouring houses actually has less resolution than the view I can get from looking out of my own front window or walking down the public street. I see this as a good thing. Some of the cameras I reviewed before deciding upon this item were way too highly-powered for a residential area, offering up to 22x magnification in some cases; it'd be hard to justify the need for that sort of resolution outside an industrial setting. Overall: I think this an excellent camera, at a reasonable price that represents good value for money, and that's not too hard to set up. I'd recommend it for use in a domestic setting, especially for areas where fixed cabling may be an issue, provided you don't require true night vision for your specific purposes. Academia: The Internet, You're Doing It Wrong.